I will, from time to time, reproduce here some interesting emails I have exchanged with foreign investors, just as I often do at my Portuguese blog. I hope everything is going well for you. We are a Science company willing to explore businesses in Brazil. Could you please guide on this issue? Where could I get information of setting up a subsidiary in Brazil? Time, cost, minimum numbers of employee, do I need a lawyer to do that, and royalties are my main queries. Thanks in advance for your support. I can speak, read and talk Portuguese; thus if it is more easy to reply in Portuguese please do so. 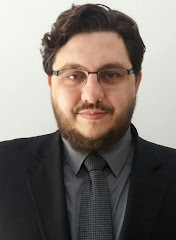 You may check my work and profile at www.brazilianlawblog.com. I would estimate the total cost in about 5.000 USD, including legal fees. Your company would take 3 months to be fully operational. There are no minimum capital requirements, nor the need to hire employees. However, you must have a local Director who is either a Brazilian or a foreigner with a permanent Visa. If you invest at least 150.000 Brazilian reais as an Individual, you may be eligible for a permanent investor's visa. If your company invests at least 600.000 USD your company will have the right to acquire a permanent Visa for one Director. Brazil does protect intellectual property. However, payment of royalties to companies abroad is subject to a taxation of 25%. Nonetheless, there are ways to reduce this rate. For instance, establishing the local subsidiary as the owner of the intellectual property and remitting profits abroad, instead of royalties. I have some friend from Australia and am very fond of the country. It would be a pleasure to help you.